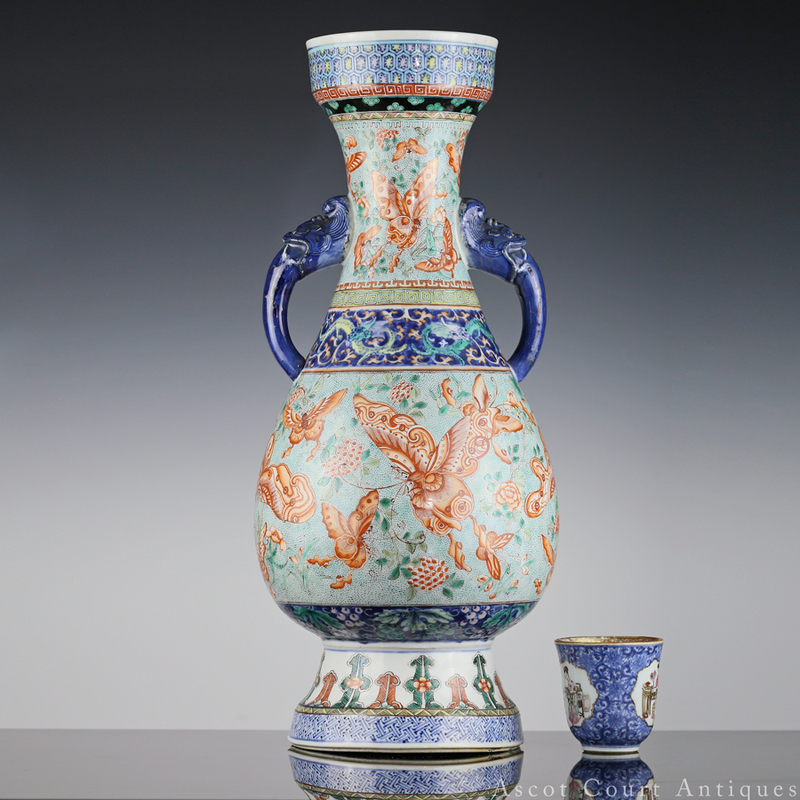 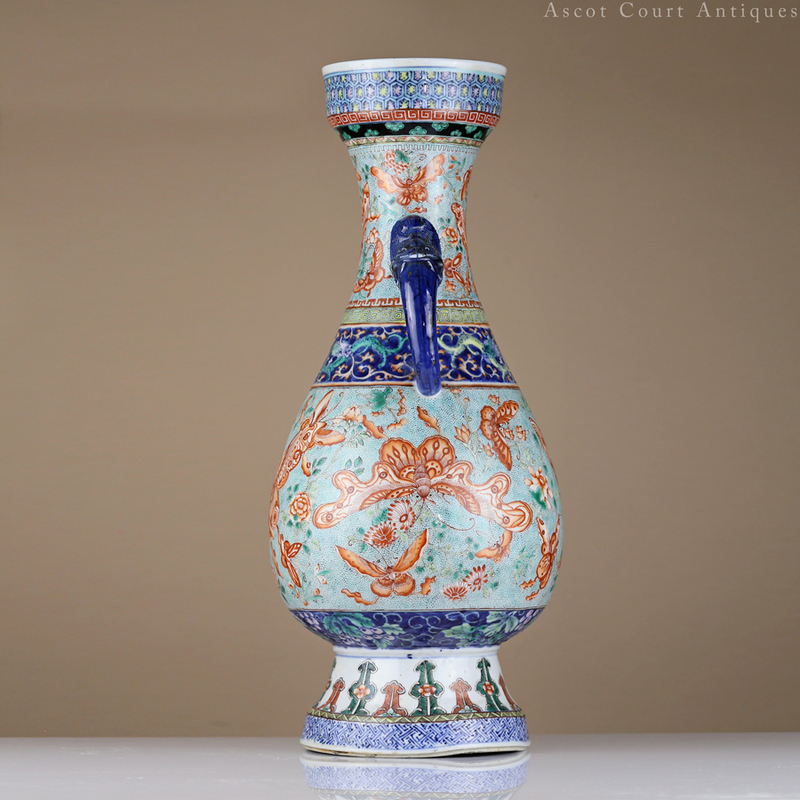 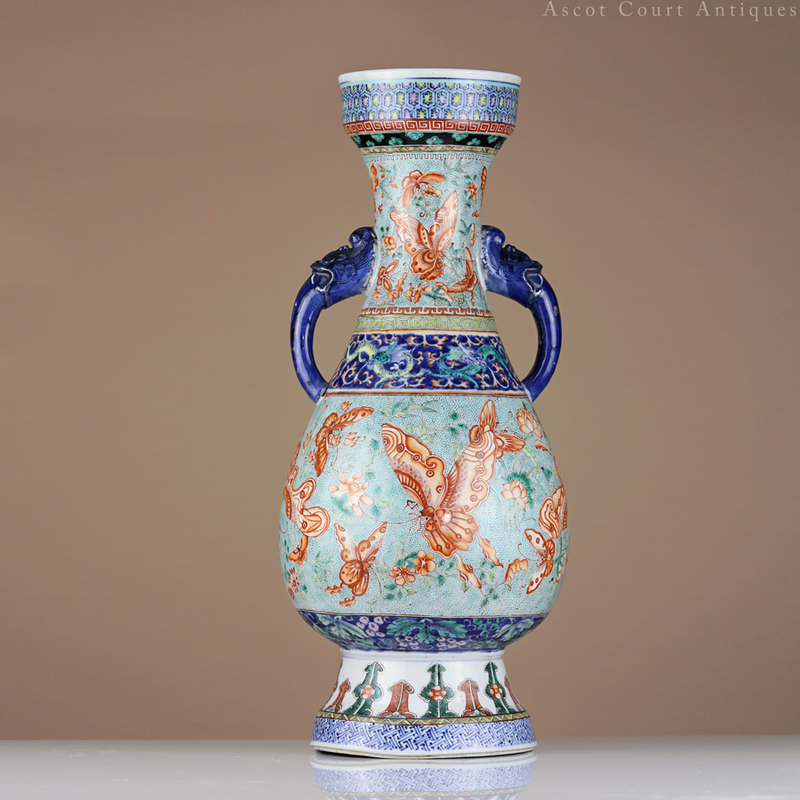 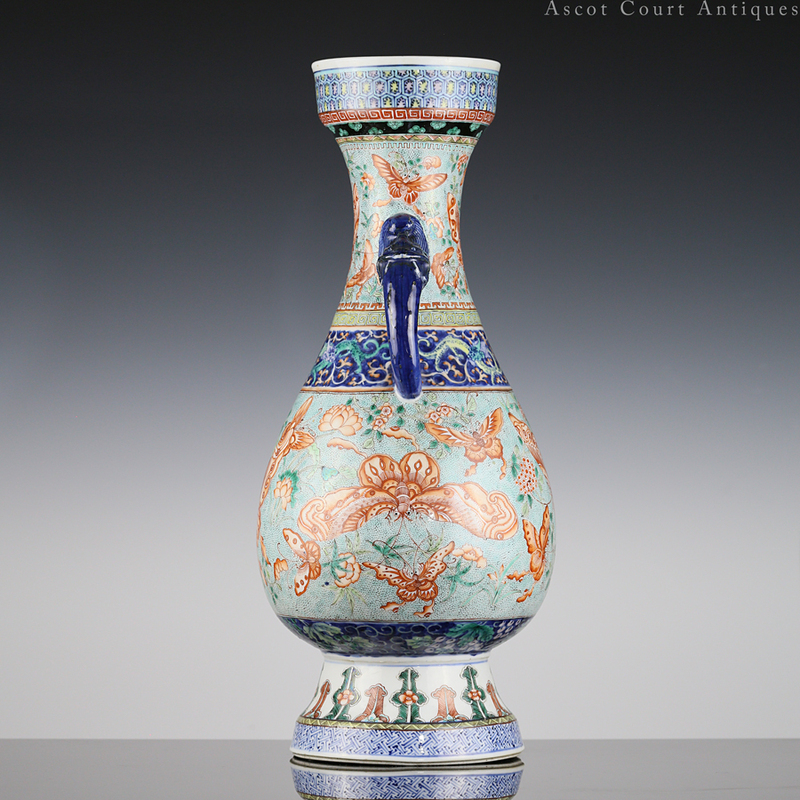 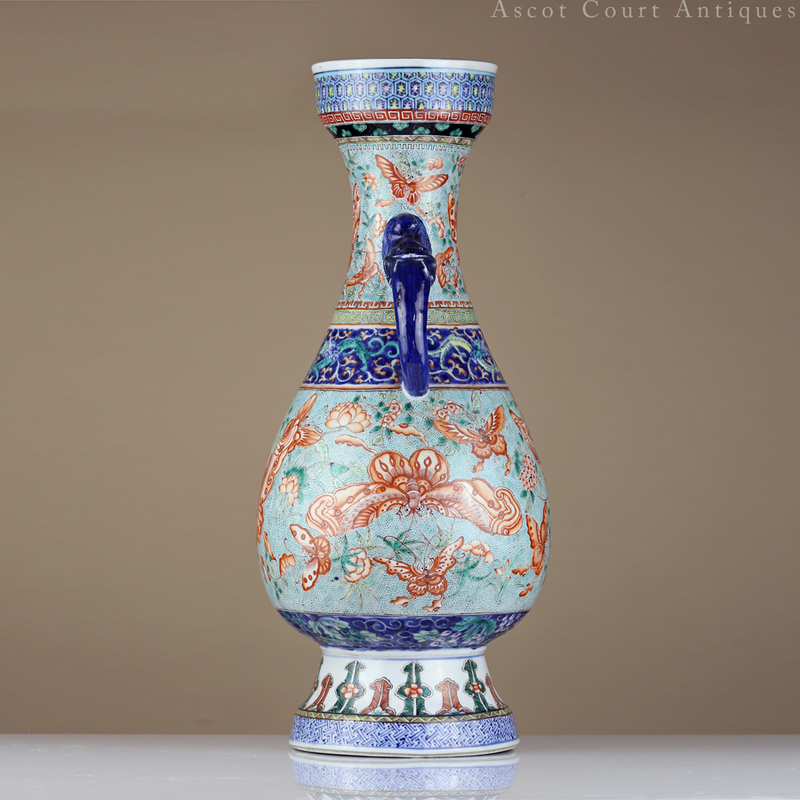 A very unusual 19th century late Qing temple vase, sumptuously decorated in the blue and white, doucai, famille noire, and famille verte palettes. 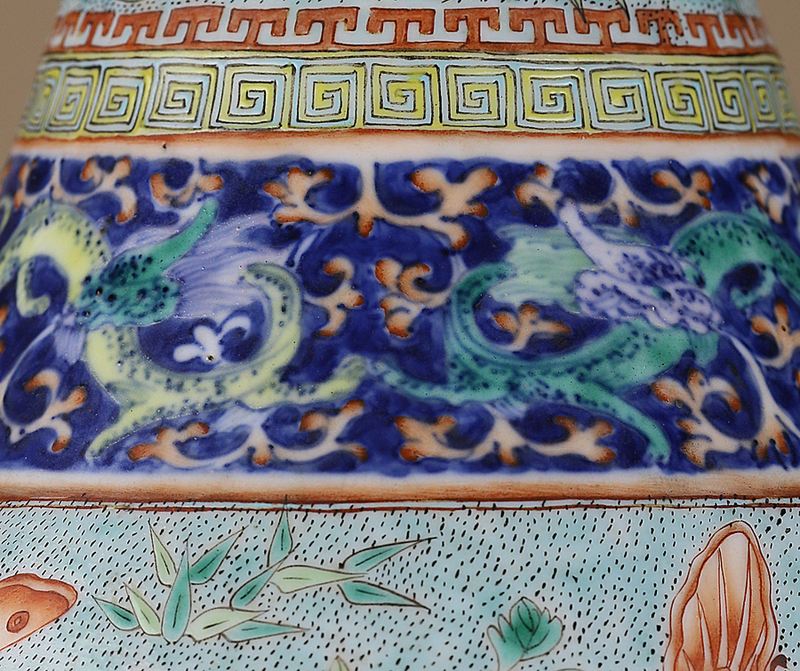 The tapered, pear-shaped belly is painted with iron-red butterflies against a pale blue-green floral ground, while a band of doucai qilong dragons encircles the shoulder. 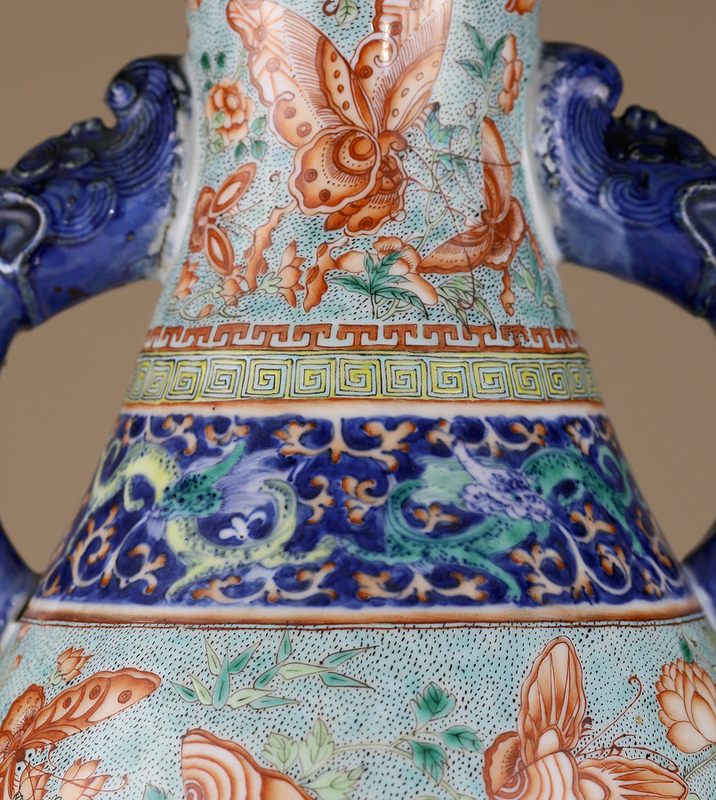 Other decorative bands include the leiwen, honeycomb, prunus blossom, grape vine, and Greek key patterns. 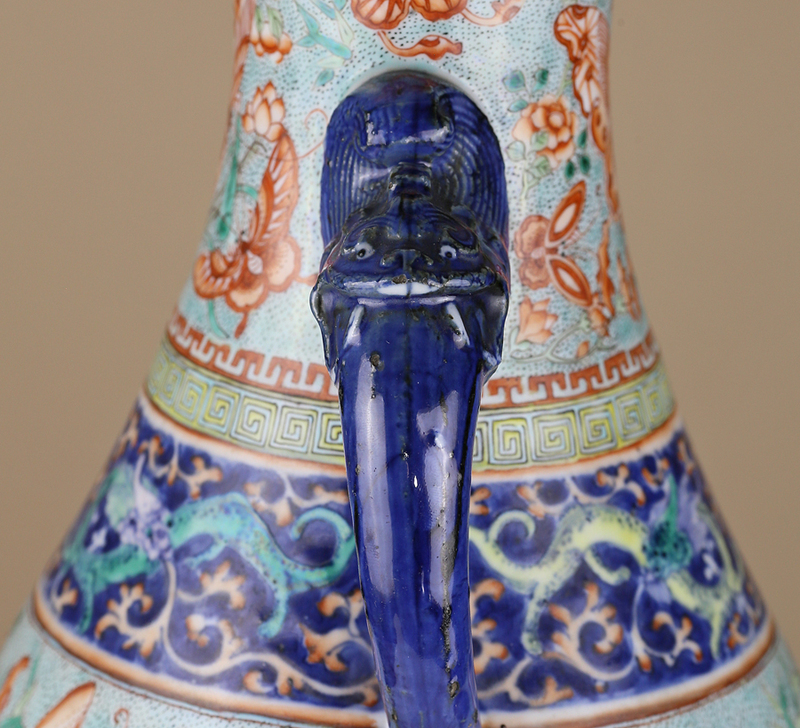 Two bold cobalt blue qilong dragon handles protrude from the neck and connect to the shoulder. 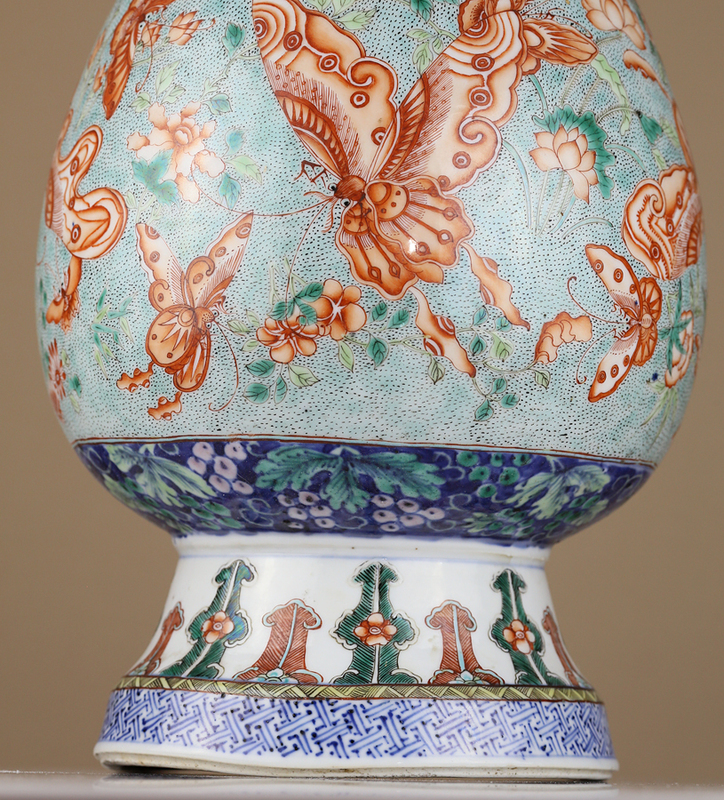 This vase is noteworthy for its ‘sampler’ like showcase of the various decorative styles available to Jingdezhen potters in the Qing dynasty, and would have been technically challenging to make. 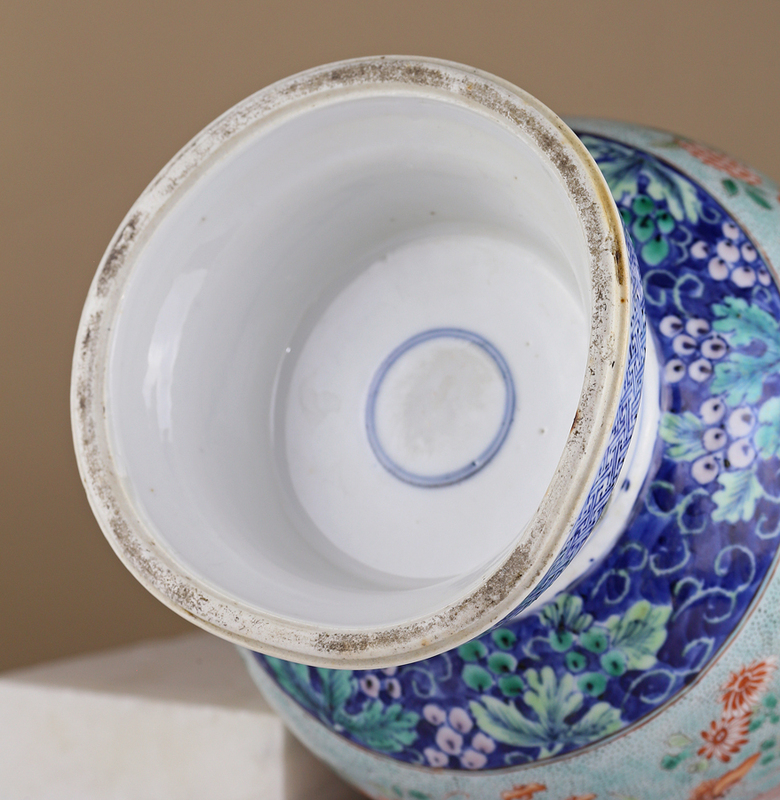 First, the unfired biscuit would have needed to be decorated with cobalt blue, glazed, and fired at a high temperature. 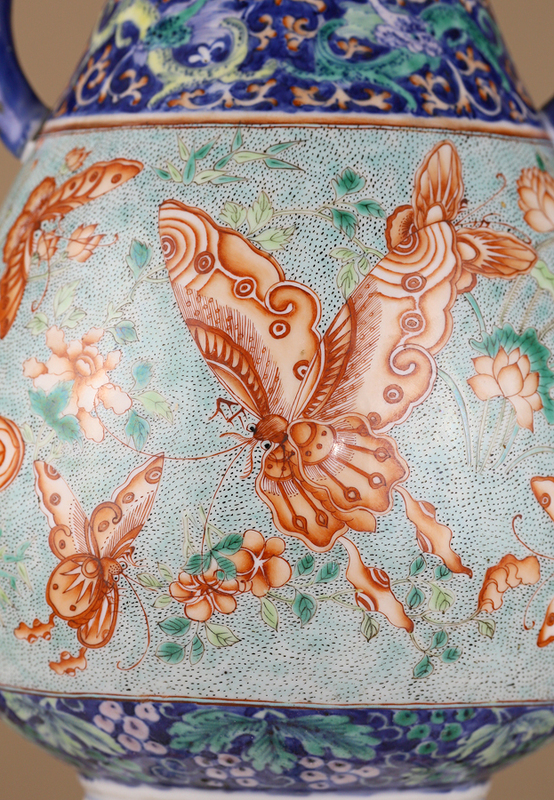 Next, the overglaze enamels would be applied and the vase would need to be re-fired again at a lower temperature. 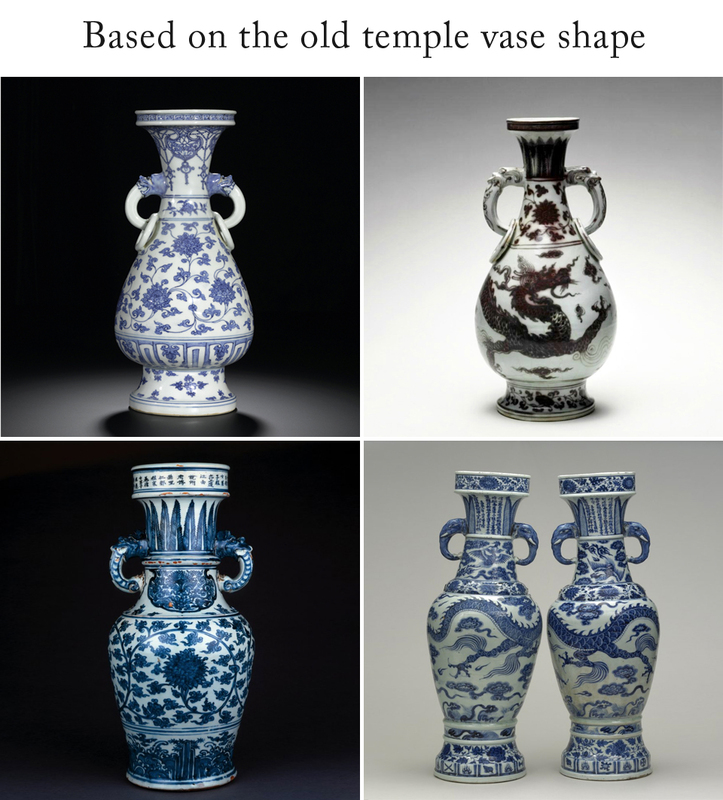 In terms of shape, this vase can be characterized as a ‘temple vase’. 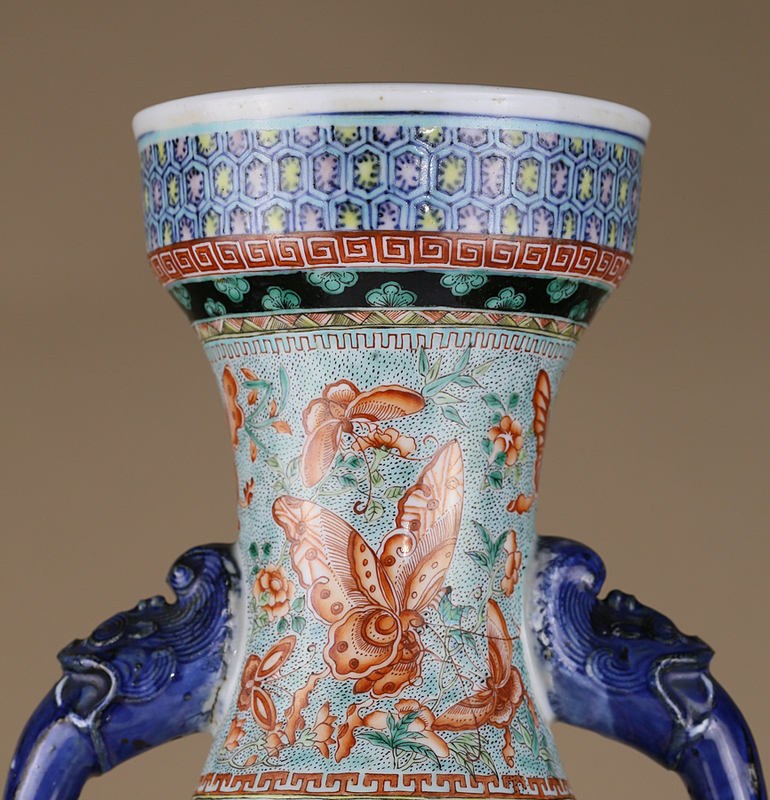 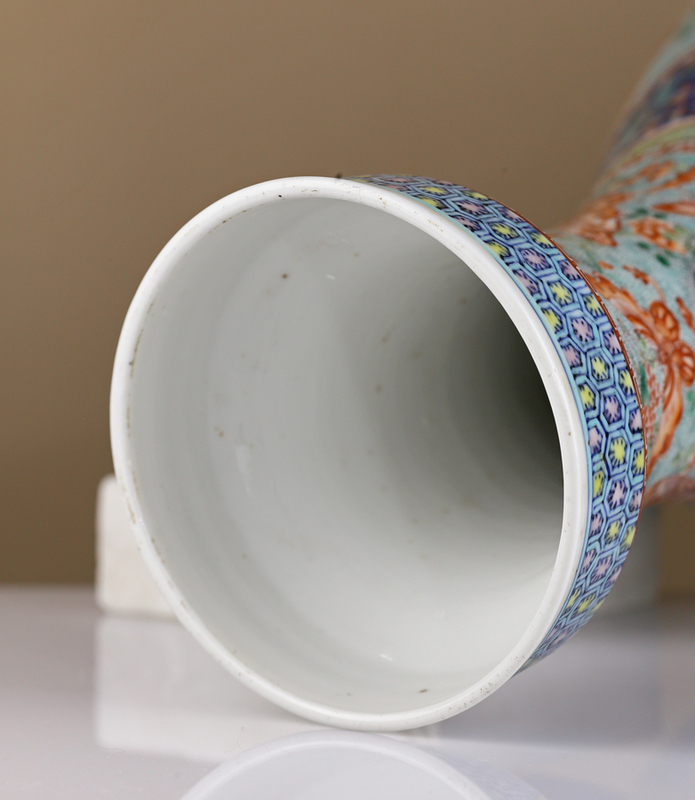 Its elongated body, extended cylindrical lip, prominent handles, and tapered foot closely resemble that of special vases commissioned as donatives to Daoist temples during the Yuan – Ming dynasties. 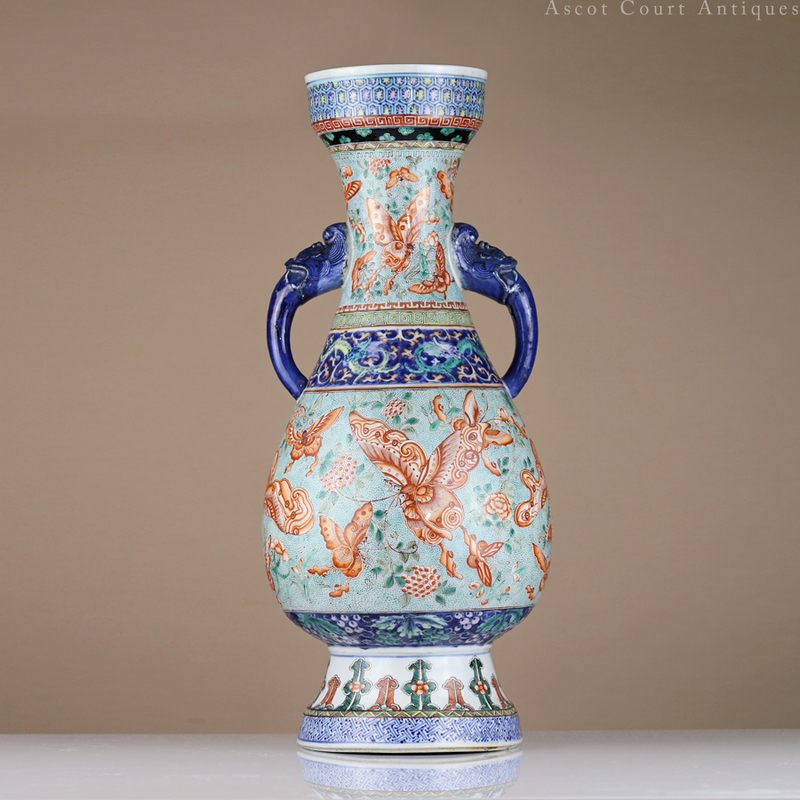 The most famous of these temple vases are the Yuan ‘David’ vases in the collection of the British Museum.